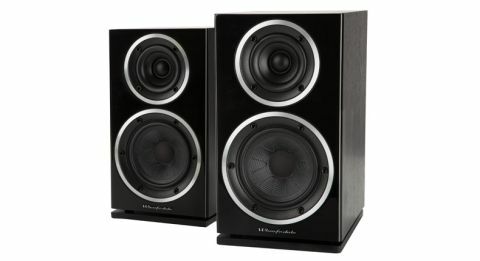 Wharfedale Diamond 220 review | What Hi-Fi? Wharfedale took our one grumble (a poor finish) about the mainly superb Diamond 121s on the chin and rectified it in their replacement, the Diamond 220s. The result? A brilliant-sounding speaker with a neat design that also became an Award-winner, ending the two-year reign of the Q Acoustic 2020is. It’s going to be tough knocking the Diamonds off their perch – they’ve come down £20 in price since our first review; everyone loves a bargain, and these Diamonds are just that. The 220s are the replacement for the hugely talented 121s, but while they look quite similar there are some important changes. They’re neatly finished for starters. This might sound like a small point, but it was the older speaker’s big weakness. At its heart, this shortcoming had as much to do with Wharfedale’s ambition to make the 121s sonic class-leaders as it did with the factory’s quality control. In a bid to improve performance, Wharfedale’s engineers used cabinet walls made of a layered construction that mixed chipboard and MDF. It was felt that using MDF alone – as on most speakers – led to an undesirable level of cabinet coloration. The chipboard side was on the outside in contact with the (rather thin) vinyl covering. The result? An uneven surface that made the speakers look poorly finished. It didn’t help that the factory seemed to have a rather lax attitude to the neat application of the vinyl wrap, particularly at the cabinet corners. We also had issues with the front baffle which, once again, looked uneven in appearance. We’re glad to report the Diamond 220s are much better in all respects. While still not the classiest speakers we’ve seen around this price (Q Acoustics and Monitor Audio set the standard), they’re good enough to avoid criticism. Wharfedale has kept the layered cabinet construction, though – in this case two thin layers of MDF sandwich the chipboard section – and glue the vinyl onto the smoother MDF surfaces.The blackwood vinyl on our sample is tidy and ripple-free and we can only expect this to be the case with the walnut pearl, rosewood quilted and white finishes. Goodbye ripples, hello better finish. Now that the finish issues are sorted, the advantages of these composite panels come to the fore. The combination of chipboard and MDF helps to damp resonances, preventing the cabinet from contributing too much to the overall sound. Quite simply, you hear more of the drive units and less of the cabinet. But there’s more than just better finish involved in the move to the new model. There’s a bigger magnet on the 13cm woven Kevlar mid/bass driver. This makes the speakers easier to drive and improves its responsiveness. The unusual slot-loaded port arrangement first seen on the 100 series reappears here too, and it has been tweaked to reduce distortion. Such a design is claimed to be more efficient than a conventional port. The proof, as ever, is in the listening. The tweeter remains unchanged. It still sits in a deeply dished waveguide, which helps efficiency (particularly through the crossover region). A ferrite magnet, rather than the more usual neodymium, is used in the unit’s motor system: not only is ferrite cheaper – always a consideration with products at this price level – but the engineers also feel it produces a smoother sound. Wharfedale has tweaked the crossover to improve integration too. Wharfedale’s engineers haven’t taken the easy route with the Diamond 220s' bass tuning. Instead of going down the usual route of a rear- or front-firing reflex port, they’ve decided to fire the port downwards into a small air gap between base of the cabinet and the plinth below. This arrangement has been further refined from that seen on the earlier 121s. Not only does this technique help with port efficiency and the reduction of chuffing noise, it makes the speaker less fussy about placement. The arrangement pays off: surprisingly for their size, the Wharfedales have the low-end ability to eat up even the thickest basslines (Led Zeppelin’s Dazed and Confused, for example). Bass is deep and agile, too. And it’s not only bass weight that belies their dinky proportions; there’s a sense of power and scale we’d normally expect from a much larger box than the 32cm-tall Diamonds. Give them a good, solid pair of stands such as Atacama Moseco 6s (£120) and they will sparkle. Their solidity and authority throughout the frequency range relies on placement near or against a rear wall: pull them out too far in the open and that sure-footedness is diluted slightly; bass notes are looser and vocals lose a bit of substance. Talking of vocals, the 220s clear and candid delivery is very expressive. Run through Eminem’s Relapse album and his choppy raps are communicated effortlessly. The 220s erupt with the attack and rhythmic drive to really devour the hard, edgy nature of the songs too. There’s scale here with a degree of authority and substance that no rival we’ve heard can better. Stereo imaging is good too, nicely projected and layered.The good news continues where integration is concerned, with everything tying together into a seamless whole. We like the stereo imaging too, but it’s the Diamond’s level of insight and dynamic aptitude that really lifts them above their peers. In a version of Grieg’s Piano Concerto, instruments are packed with variation and subtlety; piano sequences are fluid and telling, violins textured. There’s an exceptional finesse to the delivery that rivals fail to match. Dynamic presence in even the quietest sections conveys the gradual swell of the piece. The 220s seem happy delivering the dramatic moments too – as orchestration gathers momentum, the speakers enjoy the ride. While these speakers aren’t unduly fussy about partnering kit you’ll get out only what you put in. The Wharfedales will be a huge upgrade for any microsystem – the Denon D-M39DAB, say – partnering them with a punchy, dynamic amp like Rega’s Brio-R (£480) will get you two thirds of the way to a really exceptional system. For a source, we’d look at the Marantz CD6005 CD player as a good start. How do they compare with the older 121s? The character is similar but the newer speakers are a little better in most respects. In any case, the talented Diamond 220s will likely be the jewel in the crown of any budget – or even mid-range – set-up. Would we go as far as saying they’re one of the best hi-fi products you can buy sub-£200?